Lagos, the former capital of Nigeria has been ranked the fourth wealthiest city in Africa. With no other Nigerian cities listed in the ten-city fortune club, the nation’s commercial nerve-centre automatically clinches the wealthiest spot among Nigerian major cities. In a report by AfrAsia Bank and New World Wealth, Lagos, considered to be home to US$120 billion Africa’s wealth, is only topped by two South-African cities; Johannesburg and Cape Town as well as Egyptian city of Cairo. 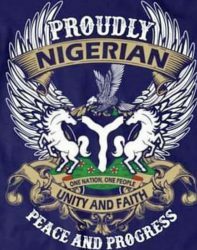 The Nigerian state is unofficially believed to be most populous too in the country. Four billionaires in dollars are mentioned to be resident in Lagos, with 360 multi-millionaires and 6,800 millionaires. Two Forbes-recognized wealthiest Nigerians, Femi Otedola of Zenon Oil and Mike Adenuga of Globacom reside in Lagos. Africa’s richest man, Aliko Dangote also has investment in the city. •	Johannesburg: Total wealth held in the city amounts to US$245 billion. Home to 18,200 millionaires (HNWIs), 970 multi-millionaires and 2 billionaires. Our figures for Johannesburg include Sandton. Major sectors in the city include: financial services (banks, accountancies, insurance), professional services (law firms), construction, telecoms and basic materials. •	Cairo: Total wealth held in the city amounts to US$140 billion. Home to 8,900 millionaires, 480 multi-millionaires and 5 billionaires. Major sectors in the city include: real estate & construction, financial services and basic materials. •	Cape Town: Total wealth held in the city amounts to US$135 billion. Home to 8,200 millionaires, 440 multi-millionaires and 2 billionaires. Major sectors in the city include: real estate, financial services (fund management), retail and tourism. Cape Town is also a second home hotspot for the wealthy with over 1,500 multi-millionaires living in the city during peak holiday months (many of these individuals are from outside South Africa). •	Lagos: Total wealth held in the city amounts to US$120 billion. Home to 6,800 millionaires, 360 multi-millionaires and 4 billionaires. Major sectors in the city include: real estate & construction, telecoms, transport, financial services and basic materials. •	Nairobi: Total wealth held in the city amounts to US$55 billion. Home to 6,800 millionaires and 280 multi-millionaires (no billionaires). Major sectors in the city include: financial services, real estate & construction, retail, tourism, FMCG, telecoms and basic materials. •	Luanda: Total wealth held in the city amounts to US$48 billion. Home to 4,100 millionaires, 240 multi-millionaires and one billionaire. Major sectors in the city include: real estate & construction, transport and basic materials (oil & gas). •	Durban: Total wealth held in the city amounts to US$46 billion. Home to 3,200 millionaires, 130 multi-millionaires and one billionaire. Our figures for Durban include Umhlanga, Ballito, Zimbali and La Lucia. Major sectors in the city include: real estate, finance, healthcare, construction, retail and transport. •	Pretoria: Total wealth held in the city amounts to US$42 billion. Home to 2,600 millionaires and 110 multi-millionaires (no billionaires). Major sectors in the city include: basic materials, manufacturing and financial services. •	Casablanca: Total wealth held in the city amounts to US$40 billion. Home to 2,300 millionaires, 110 multi-millionaires and 2 billionaires. Major sectors in the city include: basic materials, manufacturing and financial services.